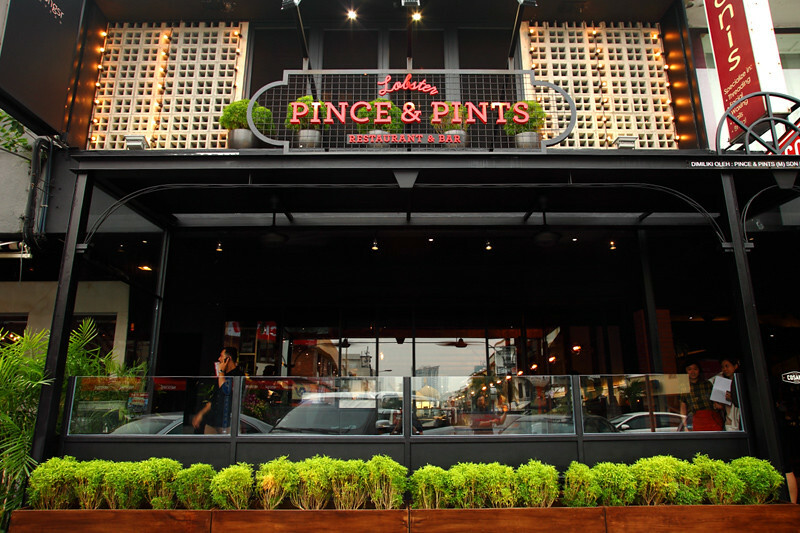 If you love lobsters (and lobsters only) and are in the mood to splurge, then head to Pince & Pints at Bangsar for a memorable dining experience. 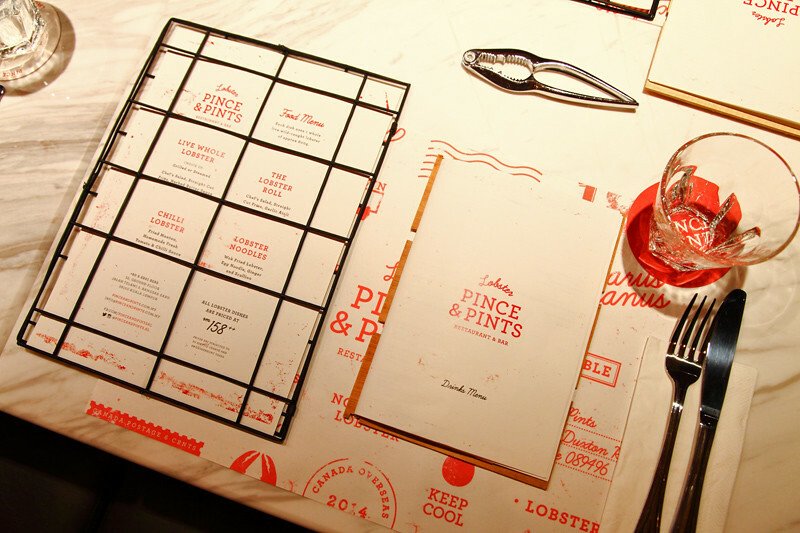 Originating from Singapore, Pince & Pints is reputed to have made lobster roll a thing there. 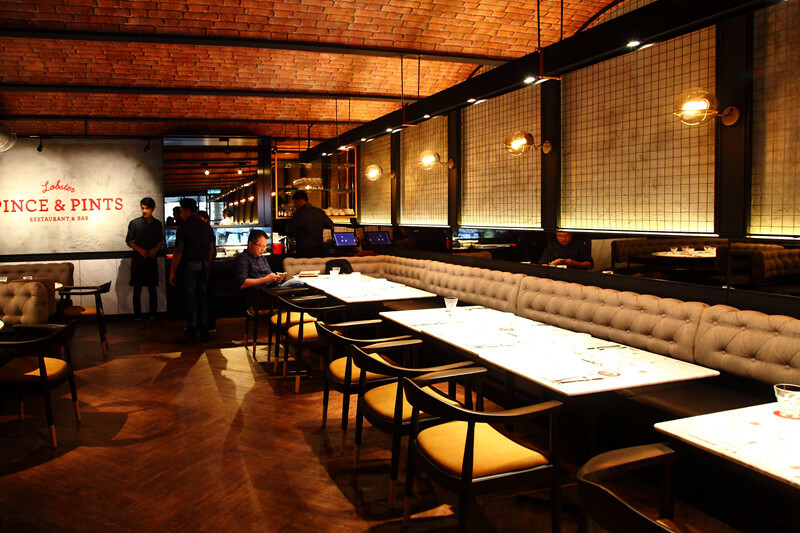 Within a short period of opening, they have garnered a few prestigious restaurant awards and customers were even queuing to taste their famed lobster dishes. And now, their first and only branch has opened in KL and they even share the same shop number of 32. Coincidence? I prefer to think that is a well planned arrangement. And this. It doesn’t get any more obvious. 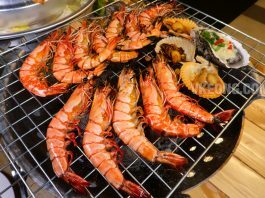 Nothing else is available on the food menu besides lobster and that shows confidence – which I think is commendable but may not be economically viable in KL considering each dish is priced at RM158++ as compared to $58++ in Singapore. But lets see how they’d fare. 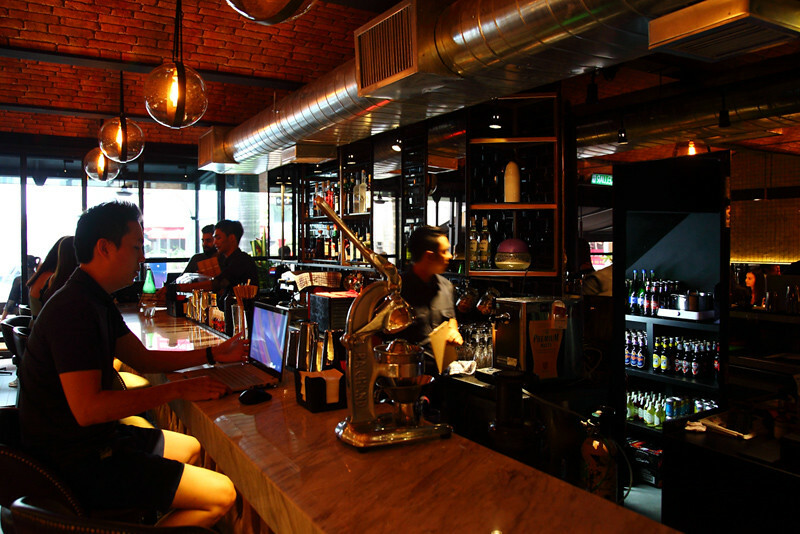 After all, Bangsar is the home to KL’s many rich and famous. If you are here and not sure what to get, I say go for The Lobster Roll. 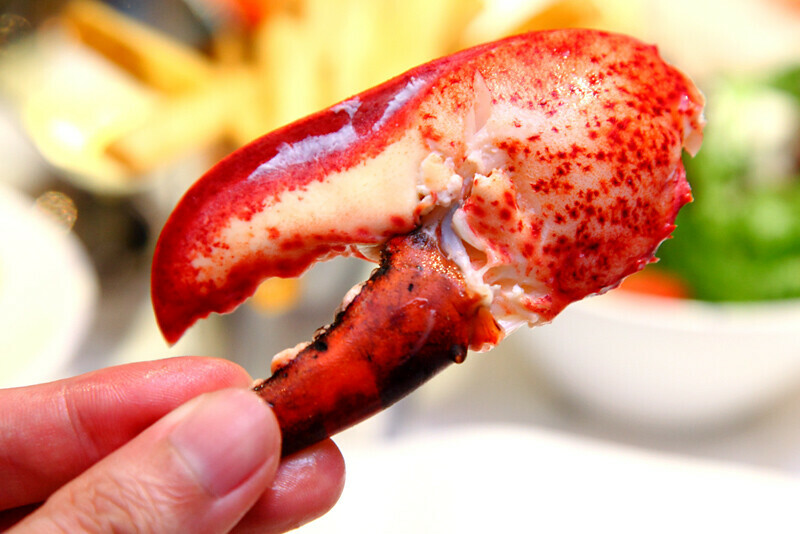 Yes it might not come in a full lobster, and yes you may think “ehh.. that’s just a bun”. But this was the only dish that stood out from the rest and the unassuming looking bun is absolutely great. Not only they complement each other so well, the buttery bun with a delicious combination of soft, spongy and crunchy textures actually elevated the lobster’s flavour. To top it off, a brilliant dressing of garlic aioli for a smooth and creamy taste. 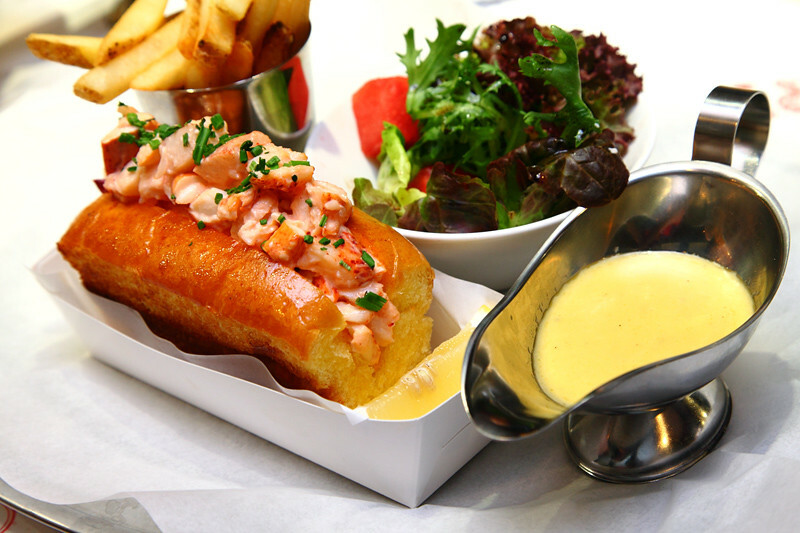 This is quite frankly THE Lobster Roll to try. 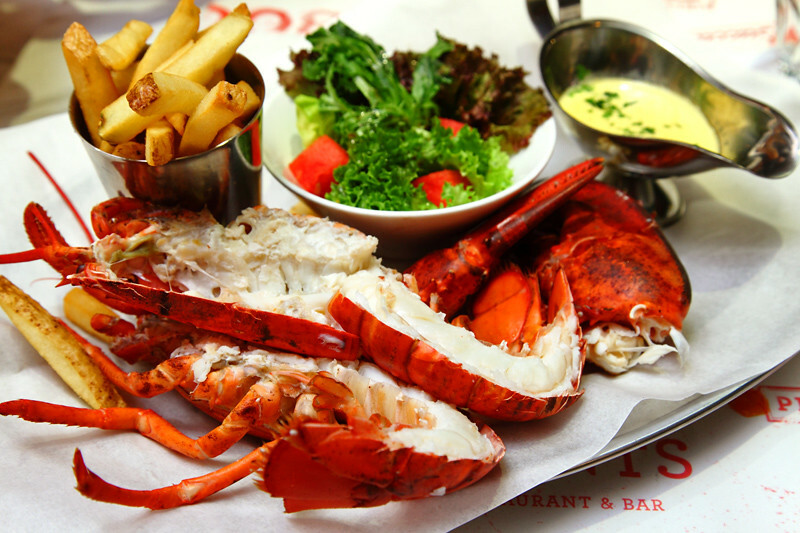 But for those who prefer to enjoy the lobster’s natural sweetness, you could have it either grilled or steamed, both served along with chef’s salad, straight cut fries and herbed butter sauce. 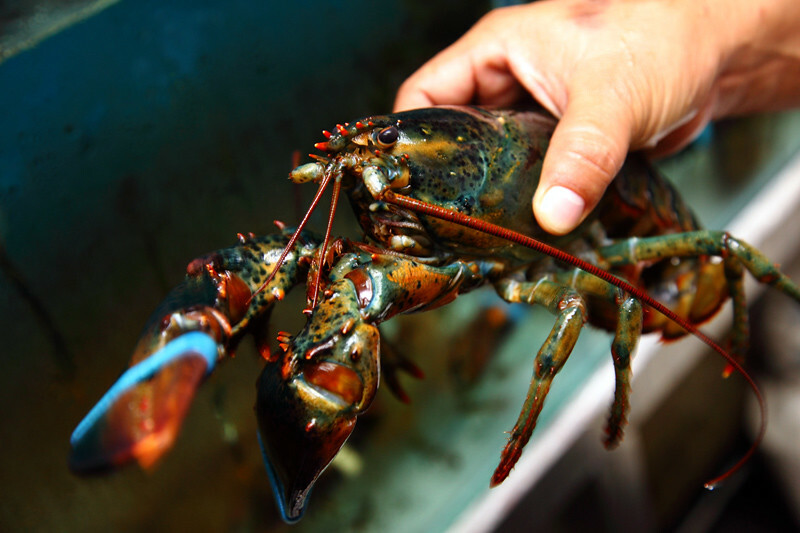 Since the lobsters are live and only picked out of the tank when an order is placed, freshness is guaranteed. Every lobster served here weighs around 600gm and anything smaller or larger caught will be released back to the sea to sustain the resource and fishery. 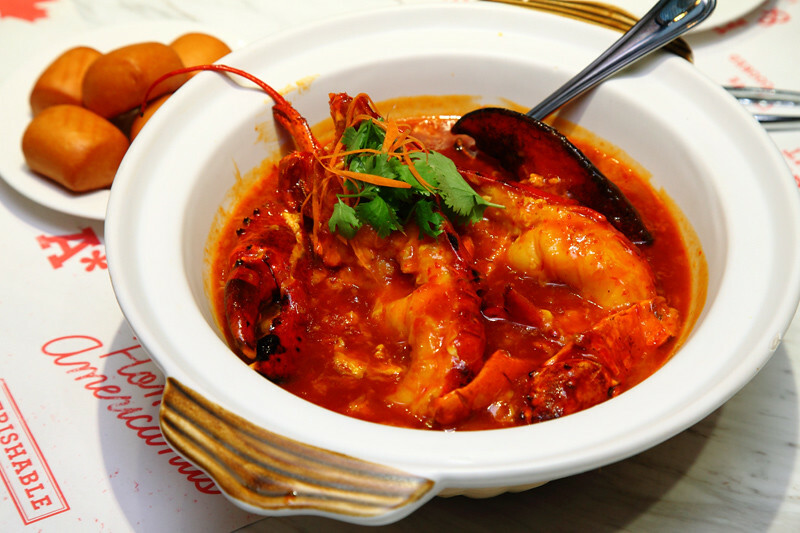 It wouldn’t be a Singaporean seafood restaurant if there wasn’t any chilli-style dishes. 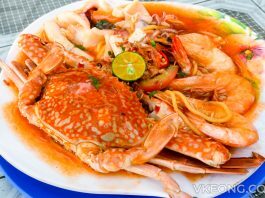 A plate of fried mantao is served with any order of Chilli Lobster but any additional servings cost RM8. 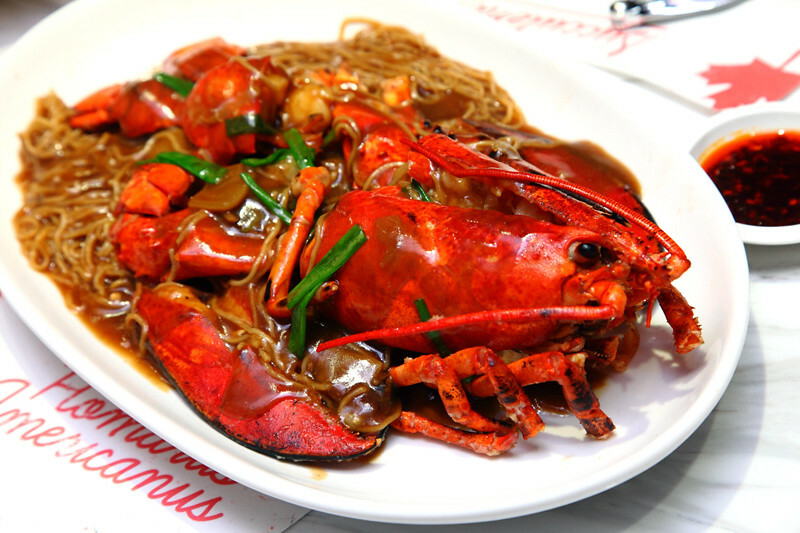 And this reminds me of the Lobster Noodle I had in London. The taste is almost similar but the noodle was a tad soggy because they used yee mee (egg noodles). Or maybe it was because we took too long to photograph it. Having said that, any seafood prepared in ginger and scallion style hardly goes wrong. 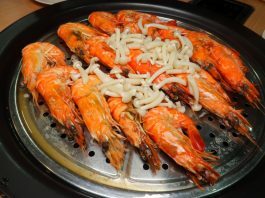 Overall, the lobsters are good but come at a very high price compared to other more affordable seafood restaurants in town. Then again, you are also paying for their imported Maine lobsters, ambiance, service and location. So I guess the occasion of the meal is the bigger deciding factor here. 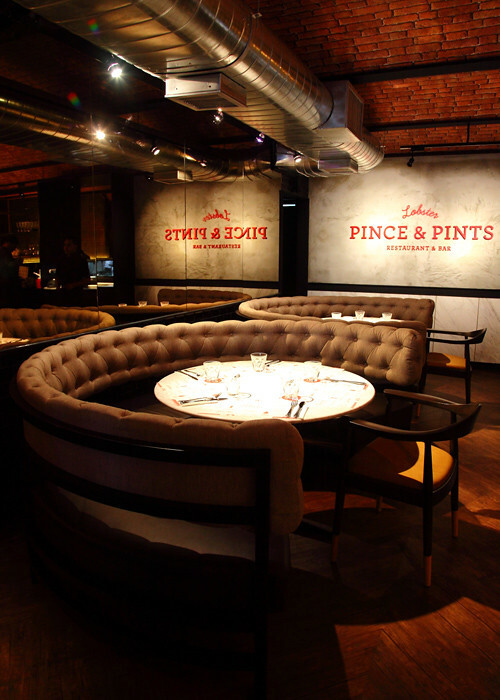 Lastly, just so you know, the restaurant is currently in its soft-opening period so they are only entertaining invited guests. 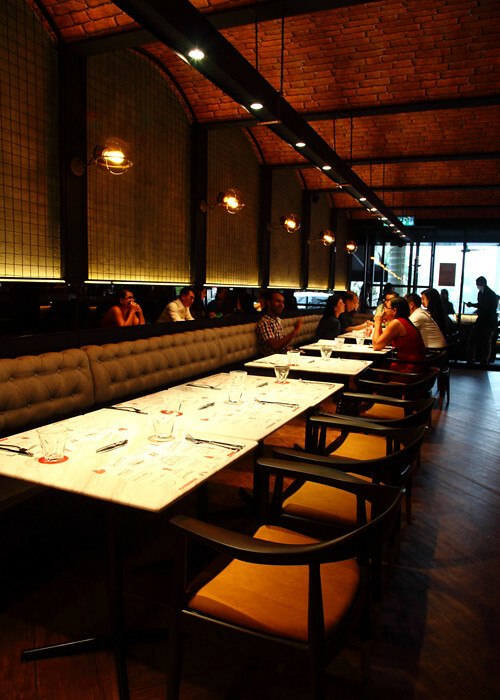 They will be officially open to the public this Saturday so mark your calendar for 9th Oct.